If you’re just getting started with us, or perhaps you have a new team member who is interested in learning what it is exactly that we do, this blog post is for you (and them!). CinchShare was built to save time so that our users can work smarter and spend that extra time doing what they love most, or need to do aside from worrying about marketing their business on social media. Social media marketing is literally a full time job these days. You have to maintain visibility and manage your content and it can get really overwhelming! We exist to help you be more productive, remove all the those unnecessary steps, and reduce a major amount of stress when it comes to working your business online. Here’s the breakdown of what we do best! What can I do with CinchShare? What features do you have that will save me time? Our Photo URL feature makes it so fast and easy to schedule and save photos without needing to download them to your phone or computer first! No more taking up precious disk or camera roll space and wasting your valuable time! Just grab the URL (website address) link and schedule the post. CinchShare will save your photos and keep your posts organized for you! Our Facebook Import allows you to literally import a post/picture you see on Facebook over to your CinchShare account. This feature makes pulling the post a breeze! Two clicks and you’re done! With Facebook Import, you can grab the photo AND the original post message in one simple step! This feature is perfect for when you see a post on Facebook that you’d like to use yourself, and perfect for teams that share posts within their Facebook groups and pages. Important: As always, once you import the content, be sure to change it up a bit and make it your own. This will keep your posts from looking like everyone else’s and show everyone your awesome one-of-a-kind personality! Use our Save feature to store the content you find online until you’re ready to schedule it. No more sticky notes or complicated links to images stored elsewhere on your phone, never to be found again. CinchShare keeps ALL your ideas neatly organized in one place! And it is so simple to use, simply add the content to CinchShare and hit SAVE instead of Schedule and it is saved for future use right under the save tab! Soooo simple! TextClips are AMAZING. Why waste time copying/pasting your signature information, business links or host ordering links? Save time and personalize your posts with TextClips! You can conveniently store frequently used phrases right inside CinchShare and insert them – in one simple click into your Facebook posts, Instagram posts and Pinterest pin messages. We LOVE using TextClips for creating Instagram hashtag bundles, who wants to sit and type those out every single time, right? Yes, you can schedule video posts with CinchShare! Video marketing can be very effective in promoting your brand. When people see you in a video or see your products in action, they develop a more personal connection and become more engaged which leads to higher sales and we all love the sound of that, right? Use CinchShare’s Links Feature to easily import a video from YouTube, Facebook, Vimeo, etc. which will play directly within your post. Thank goodness! YES, you can edit, copy and delete your pending posts before they are ever delivered. Edit: Use edit if you think of a different way to reword your post message or want to add/change the info. Copy: Copy is perfect for creating recurring posts such as weekly or monthly reminders. Delete: Delete a pending post that you’ve previously scheduled but decided you don’t want delivered anymore. Batch Post takes your Cinch post library to another level by allowing you to reschedule multiple posts in one easy step, so you can literally reschedule a new Facebook party in seconds! It really is as easy as it sounds! We think you’ll love this game changer! CinchShare’s Find/Replace feature is a simple way to quickly search for words, phrases, links, etc. that are within your selected posts, and replace them with new words, phrases, and links. It’s a quick and versatile way to update your posts. You can update the host’s name of a party, the website link to order, and even post message greetings to switch “good morning” to “good night.” The options are endless. With this feature the control is completely in your hands, allowing you to preview your changes beforehand to make sure that your post messages read exactly how you want them! As with all of CinchShare’s features, our Find/Replace feature puts you in control so you can be sure your posts stay personalized and true to your brand. Creating Folders and sub-folders inside your CinchShare account will allow you to really organize your content and have it available at your fingertips whenever you need it. For example, you could create a “Holidays” folder and then create sub-folders inside that folder such as “4th of July”, “Halloween”, “Christmas”, etc. 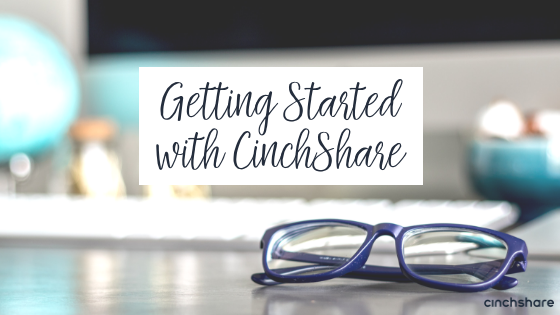 Just think of how organized your content will be and how EASY it will be to find things in your CinchShare account! Once you have created your folders and put images inside them, you can share the folders with any other CinchShare users just by following a few quick steps! You could even create one Team Shared Folder, and add all of your content to that folder. You can organize into sub-folders and members receive near real-time updates. Manage your shared folder like you do your Facebook Group. Think of it as a collaborative workspace for your team. Just like managing your group where you get to share content to your FB group, you can now manage your Shared Folder in CinchShare the same way. You can assign others to be an admin to help you manage the content. Admins will be able to add posts, edit posts, organize posts and delete posts. As an admin, you’ll have full control and can even block certain users if your content was shared to someone it shouldn’t have been. 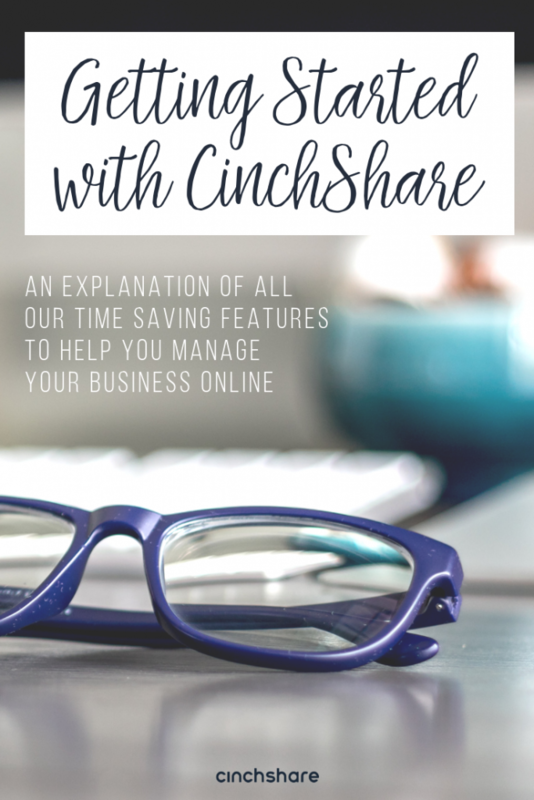 Do you have additional questions about using CinchShare or any of our time saving features? Be sure to follow @CinchShare on all social media platforms and join the SocialCinch Club Facebook Group so you can get your questions answered right away any time you have them! We here to help you grow your online business and simplify social media marketing! Stay tuned for next week’s blog post about our advanced features – you’re going to love those too!